What are the perfect winery wedding favors? How about the wedding menu? Floral arrangments? Flea market finds? Toilets? Kids? Musical line up? 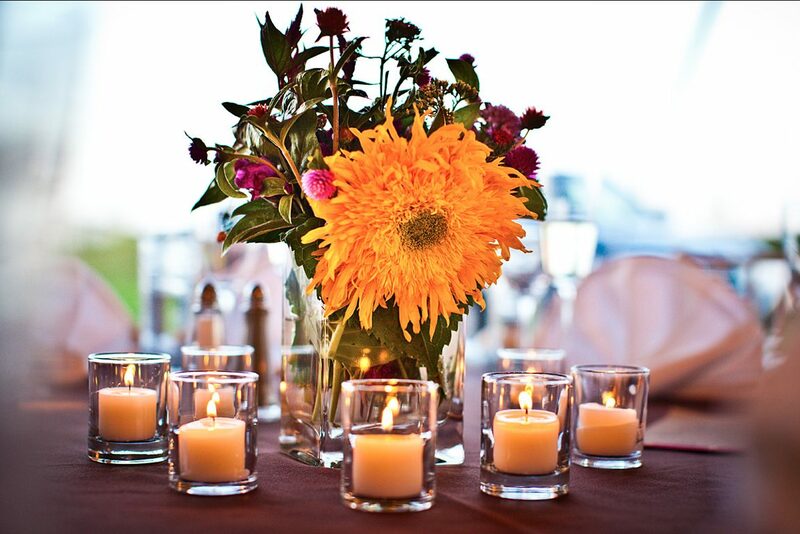 There's a LOT to think about when planning any big event - let alone one that's as special as your wedding. Here you can browse through several tips for winery wedding favors, ideas as to how to thematically tie in the vineyard to the smaller accents of your big day, and other important details to keep in mind when planning your rustic vineyard wedding...Cheers to your joyous occasion! Always visit the winery before booking. Better yet, become a regular. That way you can bond with the winery staff and make special requests for who you'd like to be on staff during your wedding - oftentimes events are roated amongst staff differently than regular weekly events. Visiting a few times for a music event or wine tasting gives you more opportunities to notice details about the winery's set up that may come in hand and of course the wines themselves! Because vineyards are in fact farms (sometimes drinking wine at the coppertop bars while listening to jazz, we FORGET this important fact!!) it make sense, and is a whole lot of fun, to continue the rustic farm feel by having catered foods that reflect the growing season: In the heat of summer? Throw fresh strawberries into your salad or dessert! Hoping for an autumn wedding? Apples and pears work great! Plus, all the abundance of vegetables available throughout the seasons - summer peppers and cherry tomatoes, the autumn gives us pumpkins, butternut squash, and corn. Consider a wine tasting or tour from the wine maker! It’ll be a fun and memorable part of your wedding experience, plus you'll get to know the winemakers - the hands and hearts behind the wine! Looking for classic yet meaningful winery wedding favors for your guests? For the absolute best winery wedding favors, the answer is clear: wine with customized labels! Your guests will certainly appreciate such a generous favor, plus it gives them the perfect excuse to enjoy the wine and toast to your marriage a second time at home - thinking fondly of your wedding day! Some wineries do offer this service for special occasions like winery wedding favors, anniversaries, and engagement parties. Ask the winery about adding custom labels by simply adding your names, date, and venue onto their regular labels. Which brings up another point...make sure you like the winery’s labels! You’re going for classic, not clip art!! A century-old barn door, copper-style nails, and old keys found at a local flea market, the Golden Nugget, made for a beautiful winery wedding display for guests to find their table assignments. Plus? 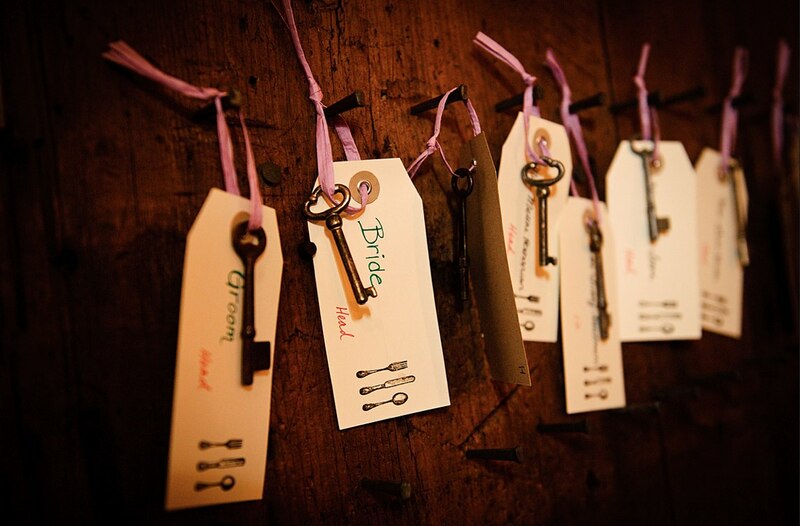 Small winery wedding favors such as these old keys are often more cherished than more elaborate gifts .A friend at this wedding collected the keys and made a mobile that she keeps in her apartment...Photography by Gary & Aneta Photography. Consider going to a flea market to pick up wedding props like rustic old doors, antiques, rusty keys, etc, for your wedding decor - to match and augment the classic and romantic feel of the winery, while still adding your unique touch to the setting. No two winery weddings should be alike. Small objects, such as old keys, corks, dried herbs sachets, or painted wine bottles, as smaller winery wedding favors, are always thoughtful additions to your celebrations. Oftentimes vineyard roads, paths, and parking aren’t paved with asphalt. (And for good reason - not better way of drowning out a rural charm than paving a place to resemble Walmart!) So if you're opting for a long satin veil, but have planned to walk down the "aisle" amongst vines, you may want to reconsider! Will the winery have to close down its regular scheduled activities that are open to the public to accommodate your event? If so, do understand that it’ll most likely be reflected in the price. Fridays and Saturdays are, naturally, high-demand days. But not just for reserved private events but also for public visits, music nights, and tours. So a winery has to adjust the cost for closing down their winery on the days when the public are most likely to want to visit. Understand that to truly book your desired date, a deposit will have to be made. Think of songs or musical groups that fit not only your personality, but also reflect on the winery as well. Have signs to divert unintentional wedding crashers! Whether the winery announces it on their website, events calendar, facebook page, or with firecrackers in the night, you can be positive that at least one unassuming couple will meander to the winery, unaware that theres a private event. Have a sense of humor and relax. And - either rope off the area or have polite but visible signs that lay out the facts! Remember that for NJ wineries until the SADC passes a special AMP specifically for winery activites, not all townships are created equal. Some, like Hopewell Township, still require a special events permit to be submitted, which is something that the winery does on your behalf. Think of songs or musical groups that fit not only your personality, but also reflect on the winery as well. Maybe you want something jazzy around cocktail hour, but more peppy for an after dinner dance party! Are there bands that can accomodate both? Catered food should be well thought out to pair beautifully with your chosen wines! Better yet, some foods, like meat and sauce dishes, should use wine in the cooking as well! ...where the built environment may not be geared towards children visitors. There may be plenty of open space, but there could also be farm equipment, barrel storage, etc. Parents must always be responsible for the whereabouts of their children. Assume you'll need to rent tables & chairs. While wineries do host many weekly events, their tables and chairs are usually basic. At HVV, we have basic units that fold up and out, because they’re the most versatile and easy to move - which happens several times a week. 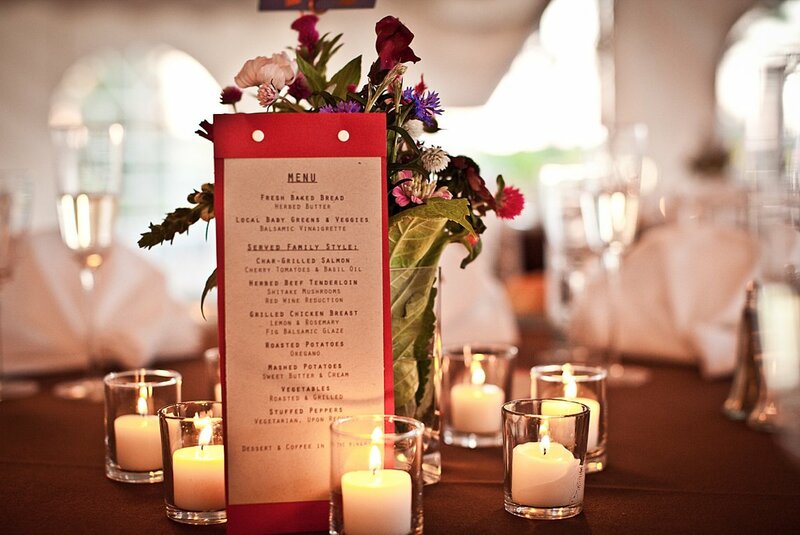 Usually for formal events such as weddings, renting your preferred tables and chairs is necessary. If public events will be simultaneously taking place at the winery during your wedding, you may be required to rent porta potties by your outdoor tent. Too costly for a full-blown wedding?